Wenny believes that everyone has the capacity for growth and change. She recognizes that clients are the experts of their own lives and she strives to work collaboratively with each individual from a client-centered, strength-based approach. Wenny values openness and authenticity and she will support you in your counselling journey by providing a safe, compassionate, and nonjudgmental space to enhance your well-being. Wenny’s therapeutic practice is influenced by a diverse range of therapeutic approaches including: Acceptance and Commitment Therapy (ACT), Solution-Focused Therapy (SFT), Emotion-Focused Therapy (EFT), and Mindfulness. Wenny’s goal for counselling is to assist you in increasing your sense of self-awareness and making the changes that you wish to make in your life. 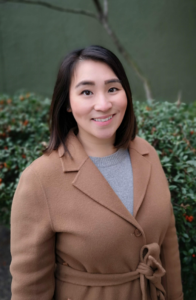 Wenny holds a Master of Education degree in Counselling Psychology from the University of British Columbia and she is a Registered Clinical Counsellor (RCC) with the British Columbia Association of Clinical Counselors. She has over 7 years of combined educational training and experiences working in mental health, and she has experience working with a diverse clientele presenting with a wide range of concerns including: depression, anxiety, trauma, relationship stress, self-esteem, life transitions, and stress management. Wenny offers a free brief telephone consultation prior to your first counselling appointment. Feel free to ask any questions about the counselling process and find out if counselling is a good fit for you. Connect with her via wennycheung.rcc@gmail.com for your free consultation. Wenny also offers a sliding scale rate for students.